Casino mogul Steve Wynn says the gun massacre outside the Mandalay Bay casino isn't keeping tourists away from Las Vegas. "If you're going to ask us what effect did the tragedy at Mandalay have on us? None that we can measure," Wynn said late Thursday on a conference call to discuss his company's earnings. Profit at Wynn Resorts (WYNN) topped Wall Street forecasts, thanks to solid sales at casinos in Las Vegas and Macau, a Chinese territory where gambling is legal. But the attack in Las Vegas earlier this month, which left 58 people dead and almost 500 injured, got much of the attention on the conference call. Wynn said his company has invested more in security since the shootings. He expects the rest of the industry is doing the same. "We're sort of operating as a group. Some of us are talking to one another, like the Sands and MGM," he said. 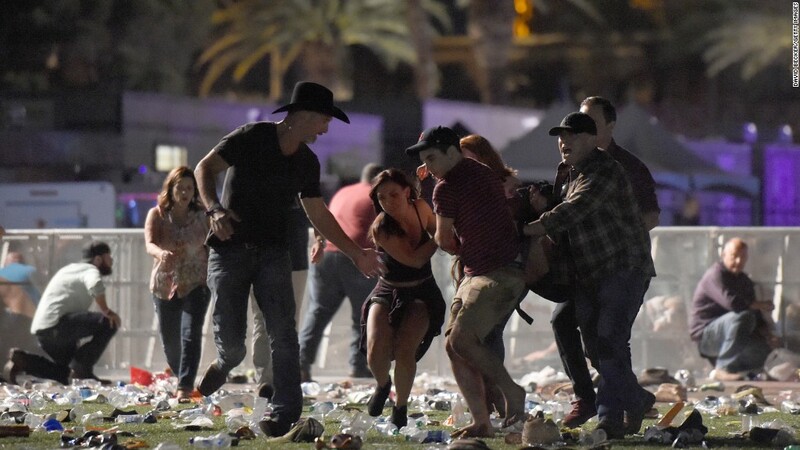 Wynn said people "in every executive suite up and down The Strip and in Reno and everywhere else and in hotels around the country" are searching for ways to prevent another massacre. "We've had programs of training our employees for two years -- room service, housekeeping, audio visual people that go to fix a TV or touch screen," Wynn said. "They've all been trained for two years. They inspect the rooms. They look at the people. We profile everybody," he added. Wynn said that the Las Vegas gunman, Stephen Paddock, had been a gambler at Wynn-owned casinos since 2006 but that there was nothing remarkable about him. He was a typical slots and video poker player who "didn't owe a dime in Las Vegas," Wynn said. "He didn't meet the profile of a problem gambler or anything like that. He was a very controlled person," Wynn said. Casino workers who knew Paddock "were stunned, mystified, that the person they knew could have been a person that tried to assassinate hundreds and thousands of people," Wynn said. Other Las Vegas companies have also said business is getting back to normal. Las Vegas Sands (LVS), which also operates in Macau, reported solid results and a healthy forecast. And Boyd Gaming (BYD), which owns several casinos in downtown Las Vegas, echoed Wynn's comments about strong tourism. Boyd CEO Keith Smith said his company does not "anticipate any material impact" on visitors to Vegas in the near future. Caesars Entertainment (CZR) and Mandalay owner MGM (MGM) wlll release their latest earnings in early November.